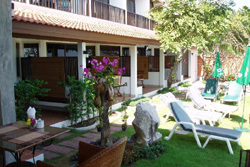 White Sand Hotel is located a few minutes drive from Hua Hin Center, down a quiet lane and on the beachfront. 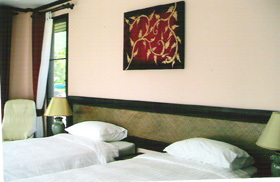 We have 14 Twin/ Double rooms as well 2 Suite rooms, all of which have the sea view. 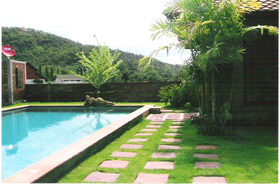 The garden has a swimming pool and spar and is surrounded with tropical shrubs and trees, just the place to relax in peace and tranquility. 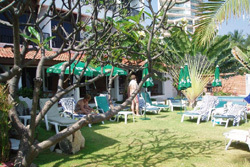 From the garden we have our own access to the private and quiet beach. 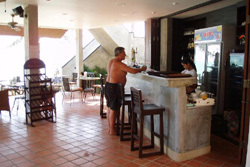 The restaurant is located in the garden above the beach, it is quiet and cozy in the daytime and romantic in the evening. 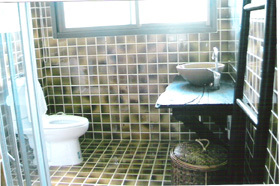 Our kitchen serves Thai, Western and Seafood's. บอทตัวล่าสุดที่เข้ามาเก็บข้อมูล คือ Google (66.249.79.117) วันนี้ เวลา 18.54 น.